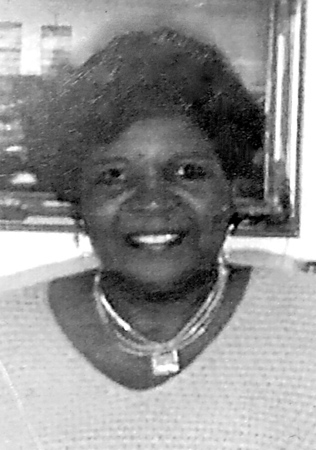 Minnie G. (Harris) Smith, 72, of New Britain, passed away peacefully surrounded by her loving family. Minnie was a native of Castalia, N.C., but a lifelong resident of New Britain, Conn. She retired from Fafnir Bearings after 38 years. She prided herself on her educational achievements and accomplishments. She is predeceased by both parents, Lucille Harris-Perry and J.D. Harris, two brothers, Nemorise and James Harris, and one grandson, Jaquan Jamarcus Pollard. Minnie is survived by her husband, Frank Smith, Sr. of New Britain, three children, Joseph R. of East Hartford, Ronald D. Pollard of New Britain, Teresa Lewinson and husband, Conrad of East Hartford; nine step-children, Diane Butler of Georgia, Valerie Fryer of Hartford, Patricia Fryer of Alabama, Paulette Fryer of Hartford, Randy Smith of Manchester, Stephanie Smith of East Hartford, Todd Smith of South Windsor, and Frank Smith, Jr. of Hartford, and Peggy Smith of Bloomfield. Minnie is also survived by one sister, Betty Mckisson and husband, Rufus of New Britain, two sisters-in-law, Katie Harris of New Britain, and Katie Trice of Bristol; seven grandchildren, Ronald Jr., Chanel, Chelsea, Mykia, Cody, Taekwon, and Dejanarah; two great-grandchildren, Anijah, and Elias Pollard. She is also survived by a host of nieces, nephews, cousins, and friends. A memorial will be held at Kingdom Hall of Jehovah Witness, 234 Farmington Ave., Berlin, CT 06037, on Saturday, Feb. 9, 2019, at 3 p.m. Friends are invited to join the family at 2430 Elm St., New Britain, Conn., immediately following the memorial services. Posted in New Britain Herald, on Thursday, 7 February 2019 18:31. Updated: Thursday, 7 February 2019 18:33.